Holy Trinity Church has responded and continues to respond to the mission and service call of the Gospel by sponsoring various local and international mission and outreach projects, helping hundreds since our first parish mission trip in 2003. Many of these efforts involve helping those in need to going to them "outside the gate" (Heb. 13.12) and simply serving them in whatever way we can. What kind of missions projects have we served? 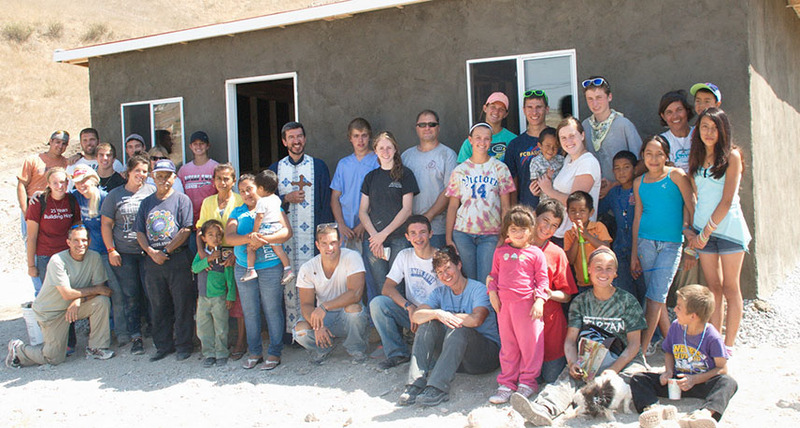 Homes have been built for needy Mexican families through various Project Mexico since 1993. Assistance and rebuilding was provided to Native Americans in Montana and New Mexico through the YOCAMA ministry. Help was offered to the disadvantaged population of North Carolina with FOCUS Appalachia. Flooded homes were salvaged and others were upgraded through local service project, including The Pittsburgh Project. All of these mission projects took a great deal of effort to complete and an endless supply of love of Christ, which calls us to help those in need around us. They could not have been done without the selfless dedication of our missions volunteers and the generous support of the Holy Trinity community. As we reach out to our fellow man, we reach out unto the Lord. Let us continue to share our resources not only within our community, but with those in need in our greater community of humanity. The 2019 Mission Trip: "Helping Houston Recover"